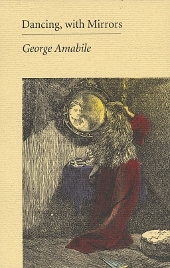 Dancing, with Mirrors is George Amabile’s ‘lyrical retrospective’, a thoughtful fragmentation and re-arrangement of his personal history. These eleven ‘cantos’ tumble into and over each other in a rush of passion, memory, devastation, and quiet moments that promise renewal; here, Amabile’s talent for sounding the complex depths of everyday life shines like a beacon. More than twenty years in the making, Dancing, With Mirrors is the result of George Amabile’s patient examination of his life. The light of careful attention, shining into his past, sends fragments of memory ricocheting into sensuous poems that arrange themselves, as if by magnetic attraction, into eleven remarkable cantos, each with a different focus, rhythm and texture. In this ‘lyrical retrospective’, decades are distilled into scattered moments: flashes of pain, sparks of affection, the smart of disappointment, small graces of the everyday. Organized thematically into a roughly chronological narrative, these lyrical fragments make up George Amabile’s most intelligent and moving collection to date. Intense snapshots of life-defining moments, from his brother’s death to his relationship with a younger woman, are rendered with vivid immediacy, but also with a resonating aura that elicits questions which may never be answered by experience alone. These poems offer hard-won wisdom alongside a fierce commitment to life itself, capturing one man’s journey in exquisite imagery, an impressive variety of forms and a voice that is recognizably authentic in all its registers. Since 1972 George Amabile has written seven collections of poetry and has been published in over one hundred magazines around the globe, including The New Yorker, Harper’s, and Saturday Night. Over the years George Amabile has come to be recognized as one of Canada’s most accomplished and masterful poets. ‘Poetry can be an intimate affair, if the poet is willing to let down defenses and share every fear and insecurity, as well as triumphs and tribulations, with the reader. 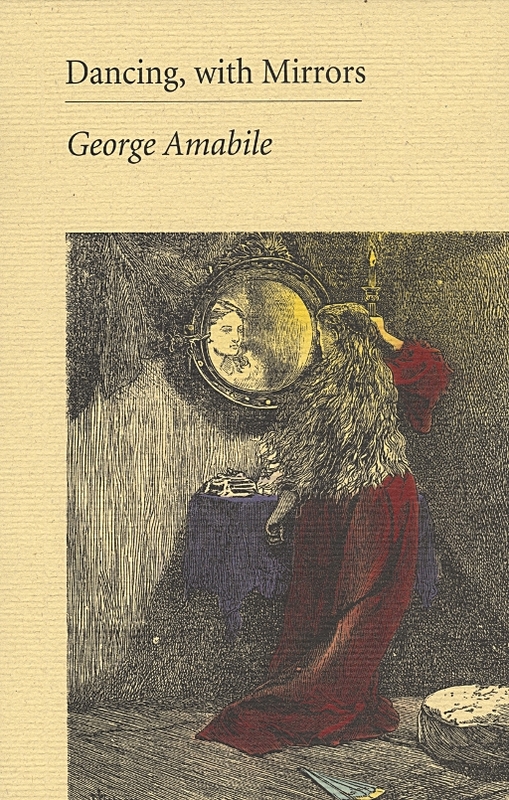 In Dancing, with Mirrors, George Amabile does so boldly and beautifully, in eleven cantos that invite the reader to share his experience of the world. 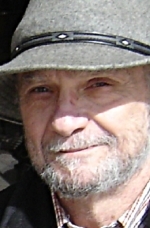 ‘George Amabile is an accomplished writer, having published fiction, nonfiction, and poetry in several countries and in hundreds of anthologies, magazines, and journals. He has published eight books and won a number of prizes for his work, including the CAA National Prize for literature in 1982 for The Presence of Fire. ‘With such credentials, it’s no surprise that the words in Dancing, with Mirrors flow and dance like waterfalls cascading over the reader’s perceptions. Amabile’s first lines are as compelling as those of any fine novel, hooking the reader for the lengthy meditations that follow. Though the subjects of the cantos are sometimes vastly different, the constant of Amabile’s poetic eye carries them seamlessly together. His is a magnifying glass-like analytical vision balanced with a wider, lyrical temperament, and it’s a heady combination. ‘Amabile’s technique of carrying over into another line an ‘‘apostrophe-es’’ or other pieces of words or sentences introduces interesting double meanings, like a sentence that’s been split, diagram-style, with two possible endings, and many possible interpretations. When I began this project, my hope was that, looked at closely, fragments of an individual life -- moments of intensity or understanding, crossroads, discoveries, the dynamics of family and friendship, the shifting gestalts of public and private events, glimpses of the interplay between mind, spirit, and world -- might become a vehicle for speaking to some of the concerns that have emerged, with some urgency, from the cultural matrix of the last half century. The cantos, as I call them, are organized by juxtapositions which reveal thematic linkages, or narrative connections, and sometimes both. The fascination I have always had with language, its mysterious ways of opening marvellously unexpected and often entirely unpredictable episodes of meaning and nuance and resonance, along with the delight I take in the rhythmic complexity and subtle sound patterns of a well written sentence or stanza or paragraph, has been an endlessly intriguing adventure that has remained vivid and fresh and has sustained my efforts for half a century. A fuzzy half-moon hangs from the bruised night. that won’t hold up much longer. they had leafed through as a hedge against boredom. conditioned by boutiques and cafes. a rough Braille in the decaying light. The big boat shudders and hums. Light sparkles under a thin haze. filled with nothing but time. George Amabile has published his poetry, fiction and non-fiction in the USA, Canada, Europe, England, Wales, South America, Australia and New Zealand in over a hundred anthologies, magazines, journals and periodicals including The New Yorker, The New Yorker Book of Poems, Harper’s, Poetry (Chicago), American Poetry Review, Botteghe Oscure, The Globe and Mail, The Malahat Review, The Penguin Book of Canadian Verse, Saturday Night, Poetry Australia, Sur (Buenos Aires), Poetry Canada Review, Canadian Literature, and Margin (England). He was Writer in Residence at University of British Columbia for 1969-70, co-founder and editor of The Far Point, founder and editor of Northern Light, has edited a dozen titles for Nuage Editions, Signature Editions, Penguin and has published eight books. The Presence of Fire (McClelland & Stewart, 1982), won the CAA National Prize for literature; his long poem, Durée, placed third in the CBC Literary Competition for 1991; ‘Popular Crime’ won first prize in the Sidney Booktown International Poetry Contest in February, 2000; ‘Road to the Sky’ received an honorable mention National Magazine Award for 2000, ‘What We Take with Us, Going Away’ was shortlisted for the CBC Literary Prize in 2003 and he is the subject of a special issue of Prairie Fire, (Vol. 21, No. 1, May 2000). From October 2000 to April 2001 he was Writer in Residence at the Winnipeg Public library. ‘Dimuendo’ was awarded third prize in the Petra Kenney International Poetry Competition for 2005 and ‘A Raft of Lilies’ won second place in the MAC national poetry contest, ‘Friends’ (2007). He has performed his poems on the CBC, at numerous venues in Canada and the USA, and at the Olympics in Montreal. His most recent publications are Dancing, With Mirrors (Porcupine’s Quill, 2011), Tasting the Dark: New and Selected Poems (The Muses Company, an imprint of Gordon J. Shillingford Publishing, 2001), and Rumours of Paradise / Rumours of War (McClelland and Stewart, 1995).